The specified file public://inline-images/http_%2F%2Fcom.ft_.imagepublish.upp-prod-us.s3.amazonaws_1_0.jpg could not be moved/copied because no file by that name exists. Please check that you supplied the correct filename. 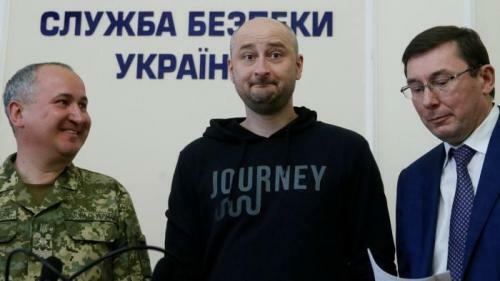 Russian journalist Arkady Babchenko was reported to have been killed in the Ukrainian capital Kiev on Tuesday. Just a day later, on Wednesday, he held a news conference. 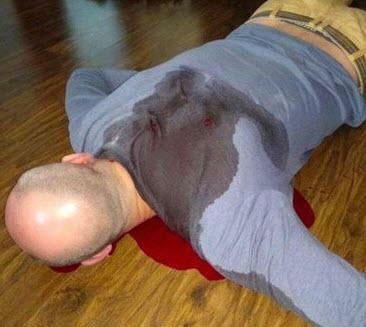 Apparently, the Ukrainian security services had feigned his death to get hold of those who had really wanted to kill Babchenko. The Journalist had immigrated to Ukraine after multiple threats against him and his family. In Russia itself, 58 journalists were killed since 1993, according to the Committee to Protect Journalists. 38 were targeted for murder and in 33 cases the murderers went unpunished. "But he's a killer though. Putin's a killer." Well from the chart above we can see that in the years since Putin was elected. 28 journalists have been killed - an average of 1.5 per year; but in the six years before he was elected 30 journalists were killed - an average of 5 per year. 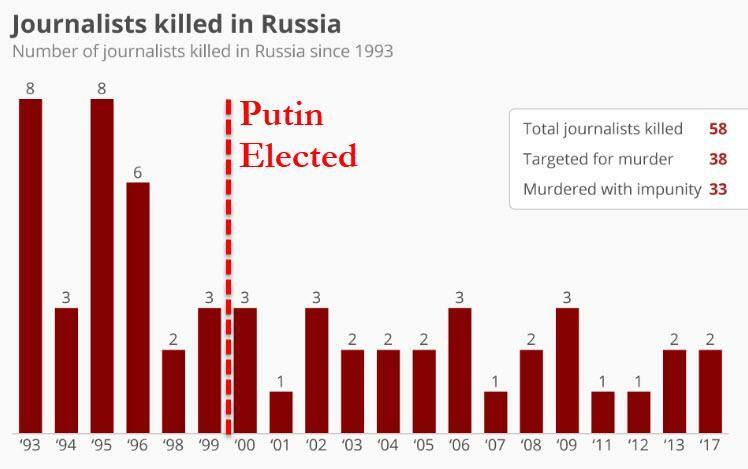 The chart above only counts journalists killed in Russia itself, not Russian journalists killed in other countries.